The trip round Yorubaland was a dream. There's too much to write about. For now, some pictures. 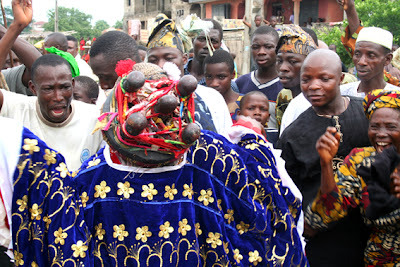 Here is the Egungun masquerade at Iragbiji. A special place, with a special spirit, in Osun State. oh my goodness,that egun is scary!